These are based off our own and customer experiences. 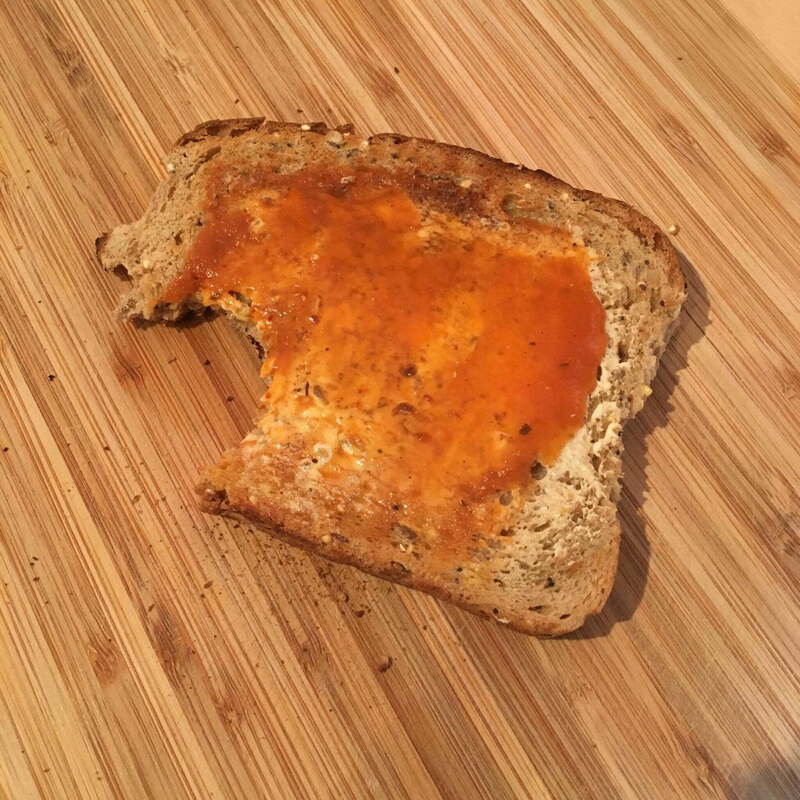 If you have found another use for the sauce, let us know! You can use any butter of your choice, like dairy free or lactose free butter. 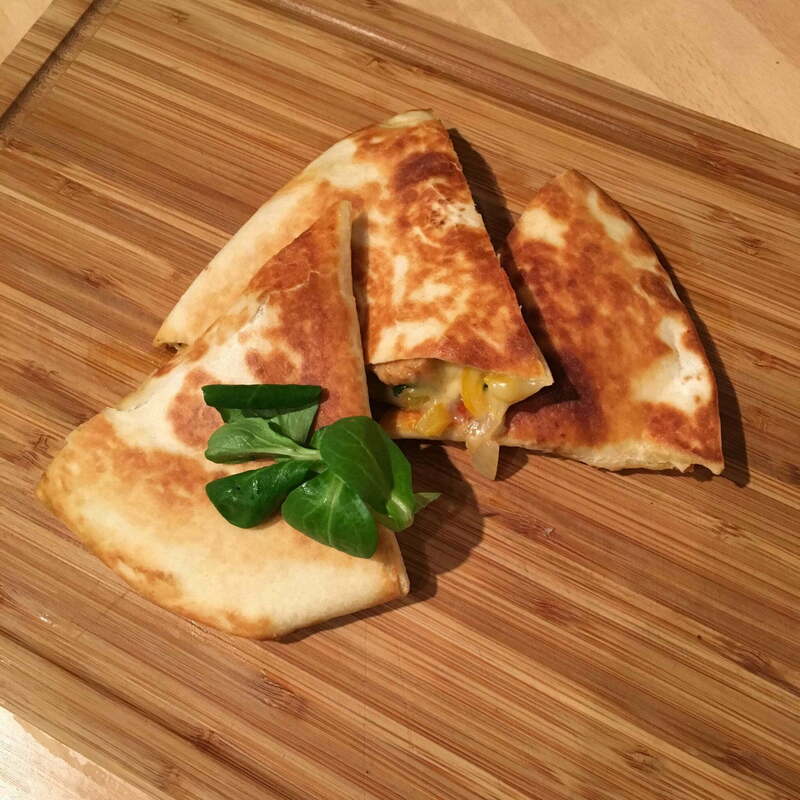 Quesadilla is a corn or flour tortilla filled with cheese and either grilled or shallow fried. The meal originates from Mexico. 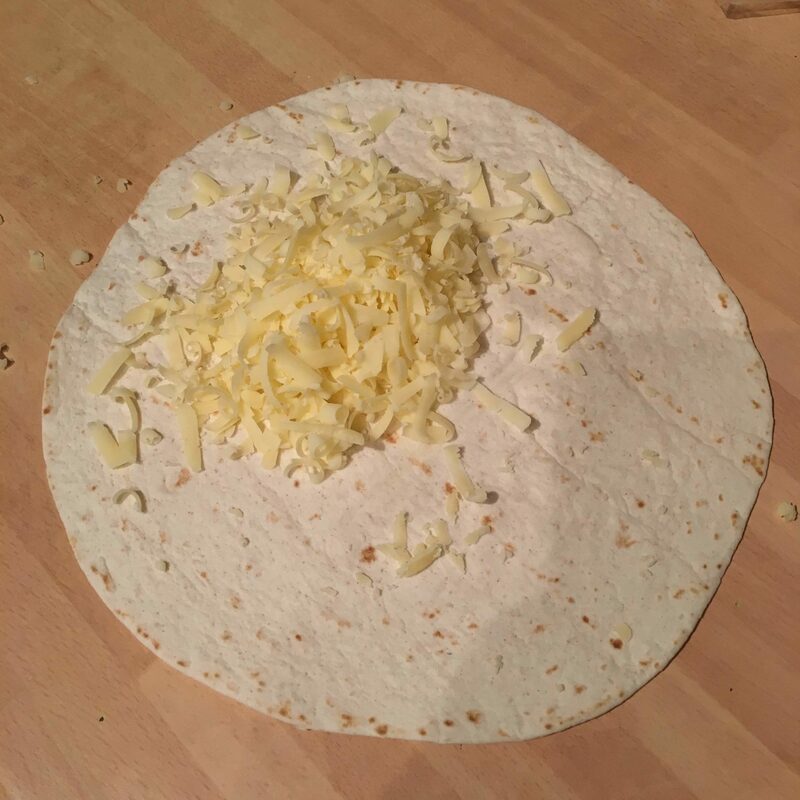 Start off by grating a good amount of cheese and then sprinkle half of that amount onto one half side of a tortilla wrap (Image #1). 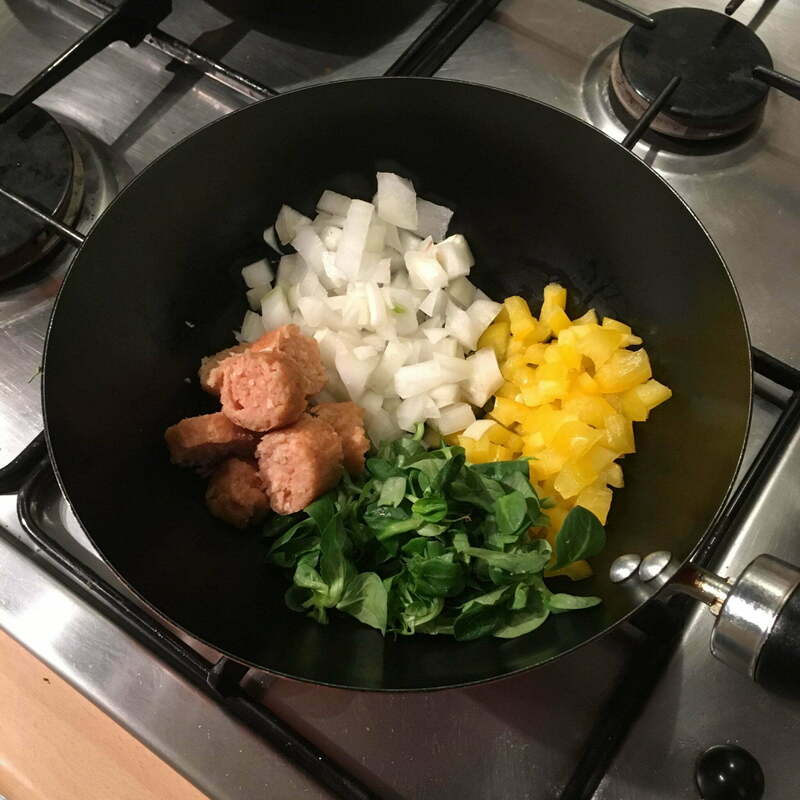 In a small wok add finely chopped onion and bell pepper (Image #2). You can add any other ingredients you like. I added a Linda McCartney sausage (chopped) and watercress salad. Make sure to add a dash of oil, and then apply full heat. You should only need to fry it for about 3-4 minutes until the vegetables are soft. 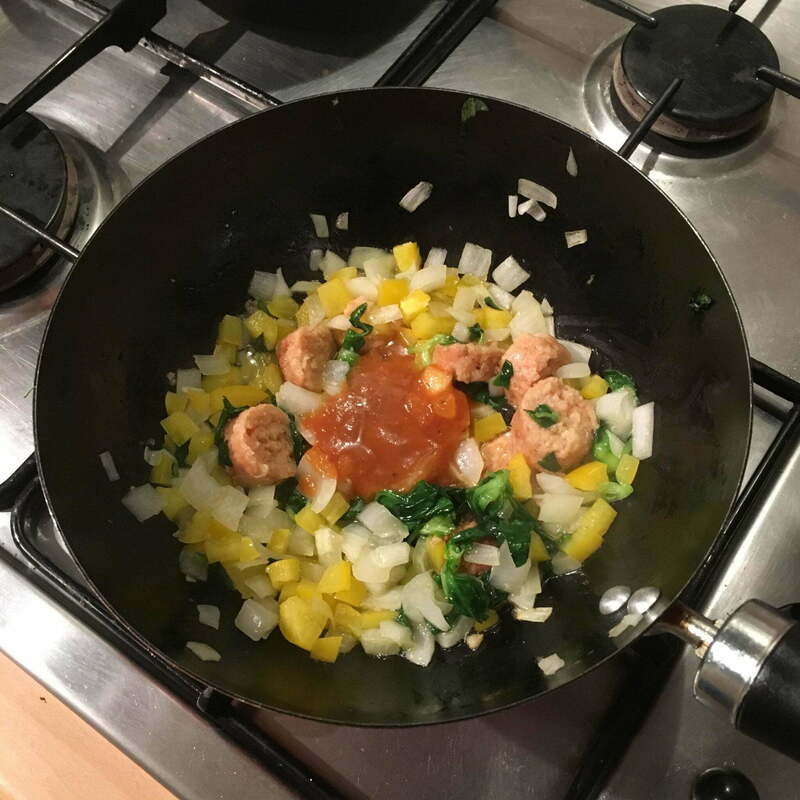 Then add a good helping of Dr.Peppa’s Condiments Apache F1 / Carolina Reaper Sauce to the wok (Image #3). Stir the wok, and then it is ready. Any meat you add will need to be pre-cooked before adding in the vegetables to the wok. 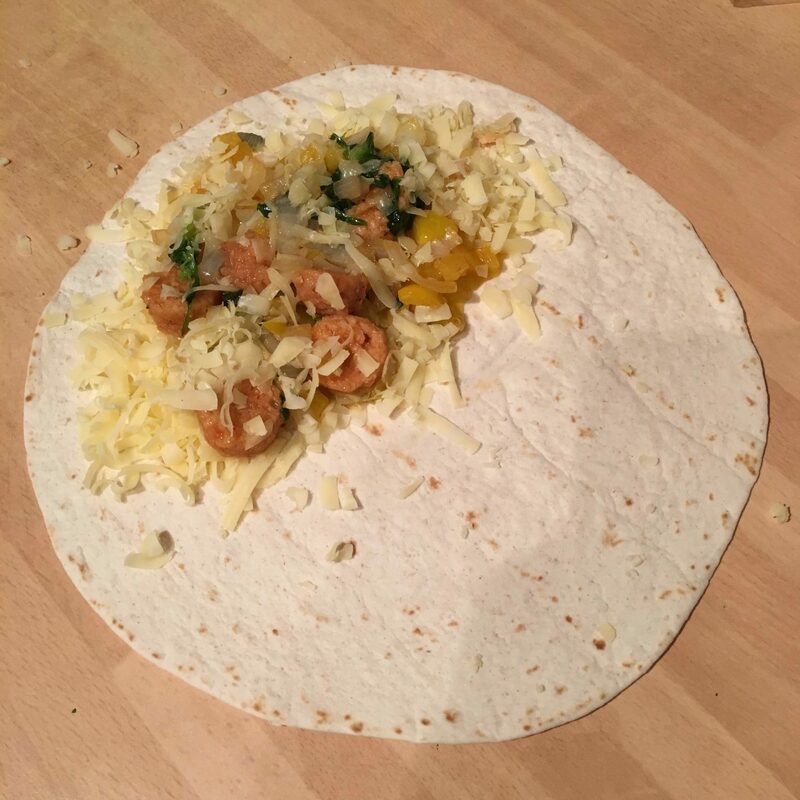 Pour out the contents of the wok onto the grated cheese previously sprinkled on the tortilla wrap. You don’t need to pour it all out, some can be kept if you are having another quesadilla or you can just place it straight onto the plate. Then sprinkle the rest of the cheese onto the tortilla (Image #4). Fold the loose side of the tortilla to form a half moon shape. Press down gently onto the tortilla to flatten it, but avoid squeezing out the contents. Now add it to a preheated and oiled shallow frying pan. You only need fry it for about 2 minutes, or until you hear it sizzling. 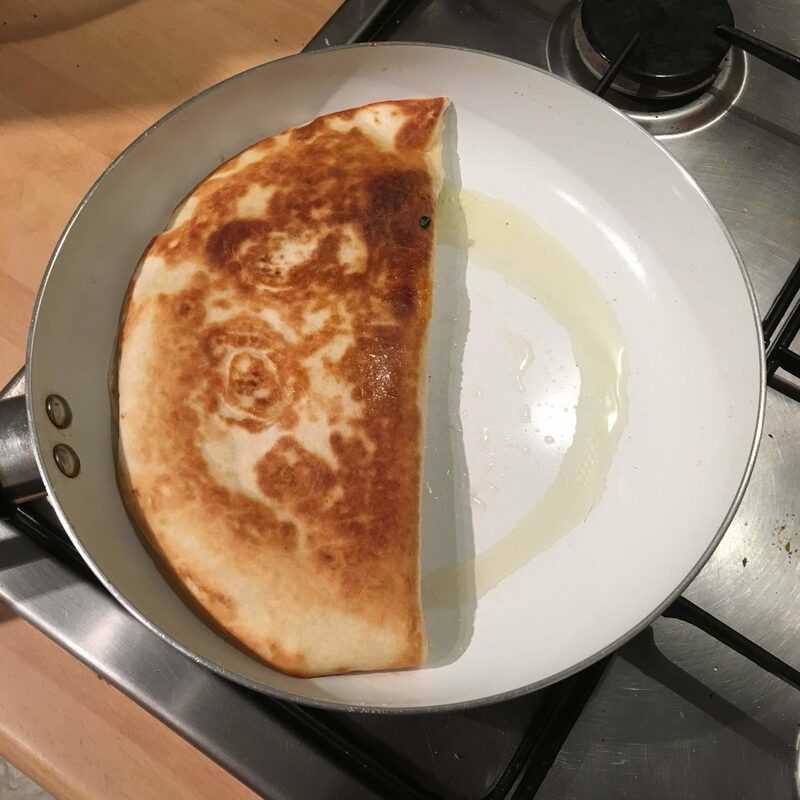 Flip the quesadilla over and fry the other side like before (Image #5). 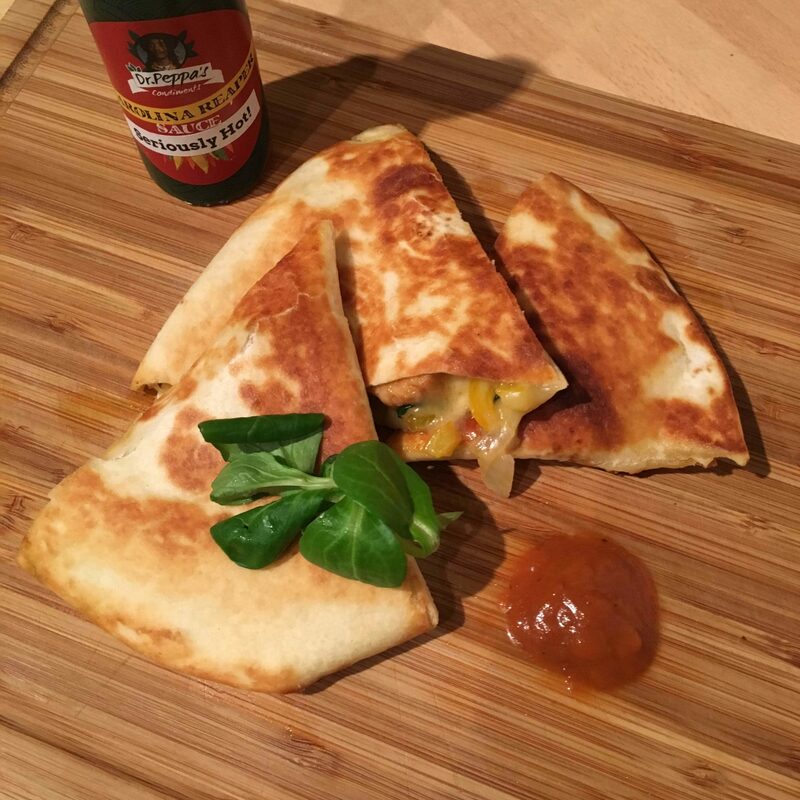 Place the quesadilla onto a chopping board and let it settle so the cheese hardens. Take a knife to it and chop it into three triangles (Image #6). Now you can serve with some more sauce on the side to dip into if you like (Image #7). Are you need of some sauce? The sauce can be smothered on meats or vegetables before cooking.